부에노스아이레스의 볼거리와 사운드를 즐기고 싶다면 본 숙소(TRYP 부에노스아이레스 호텔)는 탁월한 선택입니다. 도심에서 단 0.0 Km 거리에 있는 본 숙소는 투숙객이 빠르고 쉽게 지역의 많은 명소들을 즐길 수 있는 위치적 이점이 있습니다. 본 숙소는 도시의 필수 관광 명소에 쉽게 접근할 수 있는 편리한 위치를 자랑합니다. 최고의 서비스와 시설로 잘 알려진 Melia International Hotels의 TRYP 부에노스아이레스 호텔에서 특별한 경험이 고객들을 기다립니다. 투숙객들은 숙소 내에서 24시간 룸서비스, Wi-Fi (무료/전 객실), 장애인용 편의시설, Wi-Fi (공공 장소), 주차장 등을 즐길 수 있습니다. 모든 객실은 편안하고 안락함을 선사해 줍니다. 많은 객실에서 편안함을 더하기 위해 평면 TV, 거실, 무선 인터넷, 무선 인터넷(무료), 금연 객실 등을 제공합니다. 본 숙소 투숙 기간 다양한 여가 시설 등을 이용할 수 있습니다. 본 숙소(TRYP 부에노스아이레스 호텔)는 어떤 이유로 부에노스아이레스에 방문해도 지내기에 매우 좋은 곳입니다. The hotel was located in a nice district. Room was spacious and clean. Varieties breakfast, clean and medium space room. Walking distance to shopping. Very pleasant stay.I stayed 5 nights. Room is medium space include wifi. Clean and hygenic. Staff are friendly and helpful. I dont mind to stay again at this hotel in future. Very well located within walking distance of Puerto Madero. Located in a smaller side street of Av. Corrientes, which is more quiet. 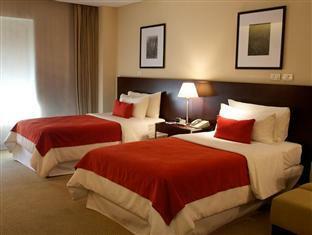 Does not look like much from the outside, but rooms are spacious and beds are very comfortable. Breakfast saloon is not too big, but they offer a nice buffet and you can get all kinds of eggs on order, without extra charge. Free wifi throughout the whole hotel. Very clean and well maintained. Staff friendly and helpful. On checkout day we left all our luggage in the store room, before going to the airport, no security breaches. it is an excellent hotel, really downtown and close to many attractions. The entrances is a little bit hidden, so that the taxi drixer hardly coud localize it, but with the direction finally it was clear. The staff is very friendly and helpful. There was maybe the best breafest buffet that I had during my stay in Argentina. Nice and big rooms with a modern design. 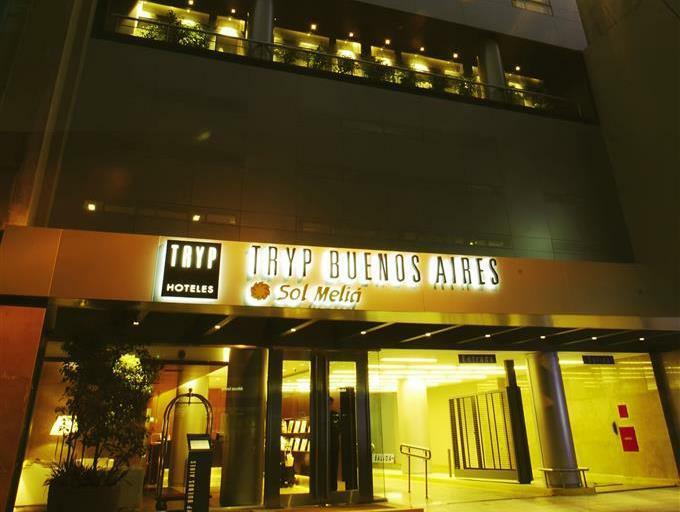 I really like the location of this hotel, right in the heart of Buenos Aires downtown and just steps away from the main shopping Florida Street. Hotel staff are very helpful and their English is good. Many thanks for them to arrange tango shows for me. They are very resourceful and know which kind of tango shows suit you. i never thought that i could find such a hotel for this price in Argantina,but by checking into this nice and neat hotel i realized how distant my perception was from reality,although a hotel practically should not portray a country but in this case this is the feeling i have ,and that is why i did my best to extend my stay which i had no chace of doing so. 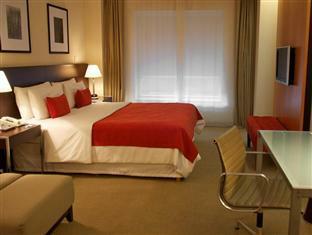 This is a great hotel, an oasis in the heart of Buenos Aires. The hotel itself is sleek and modern, it's location is second to none being a few metres from the main shopping drag and a short walk to the metro. It's also a short walk to all the main attractions in the city and we even walked to the waterside where there are numerous restaurants. The breakfasts were great with plenty of variety and the staff were both attentive and helpful. Ich habe zweimal im Tryp übernachtet und einmal in einem anderen 4 Sterne Hotel in B.A. - Tryp ist eindeutig meine erste Wahl - folgen Sie auch den Restaurant - Empfehlungen des Portiers. Recomendo pra quem quer conforto e bom atendimento.